In just two weeks, my debut novel LIVING IN SHADOWS will officially be released…which means you all can read it! That makes me squeal with delight and feel like I could throw up a little (it’s sorta scary to think that people will be reading something I spent 4 years of my life creating…I mean, what if someone says they don’t like it…that’ll be a little like someone telling me my baby’s ugly). Anxiety aside, I’m super-stoked, and in sharing my excitement with you, I wanted to let you see the cover! I don’t know about you, but I love it! 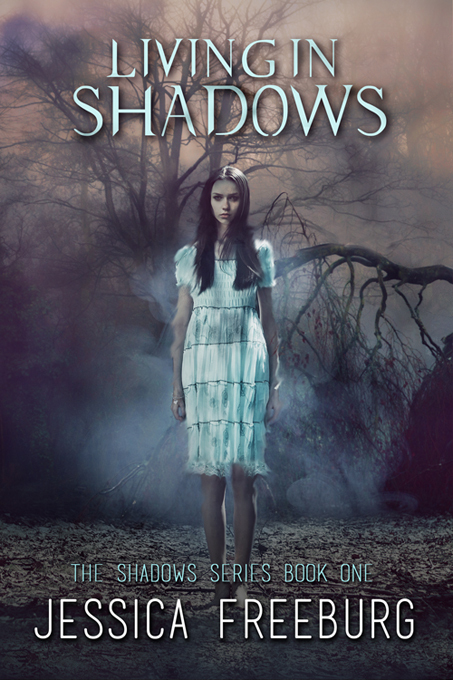 And yes, that little line above my name “THE SHADOWS SERIES BOOK ONE” means there will be more books based on these characters to come (squeal-puke)! In celebrating my upcoming book release, I wanted to have a little contest and give one winner a FREE copy of the e-book! I like to keep my contests easy and use them as a way to get to know my friends a little more, so this will be a pressure-free, easy contest, and the winner will be drawn at random (think names stuck in a hat…I’m old-school like that). To enter, all you have to do is respond in the comments section (or via Twitter or Facebook) to the question, “What was your favorite book as a young adult?” See how easy that is?! Now, the only catch is, in your response you have to use the hashtags #livinginshadows and #contest. Easy peasy, as my kids say! Now, it’s your turn! Ready…go!! The cover is fantastic! It really captures the story well– I should know since I did your content edit:) Good luck on your release! I’d be happy to feature you on my blog sometime in the next month or so. I would LOVE that!! Let’s coordinate a date! 😉 And thank you for your great edits!! And the nerds shall inherit the earth (or something like that)! Love it!! My favorite series was the Dark Shadows paperbacks. Can’t wait to read your book, Jessica (whether I win the contest or not). Congrats on your upcoming release!! The cover looks awesome.